In this article you will learn how to automate the copy-paste process when updating tracking information for orders via the tracking information email received from the supplier or directly from the supplier website..
After placing the order on the source website, you will receive a Tracking Number Update email. Go to your email account and locate and open the email for the order you will be updating. Once you open it, no need to touch your mouse, the DSM Auto Paste Chrome Extension does it all for you within a few seconds. It copies all the relevant information then go to the Sales and Orders page and paste the Tracking Number as well as the carrier and saves it. In a case where the tracking information does not exist in the email itself, the DSM Auto Paste will open the supplier website, locate and copy the information from the order page and then redirect to the Sales & Orders page in DSM Tool to paste the information. When the DSM Auto-Paste reaches the Sales & Orders page it uses the buyer's name to locate the correct order and update it. 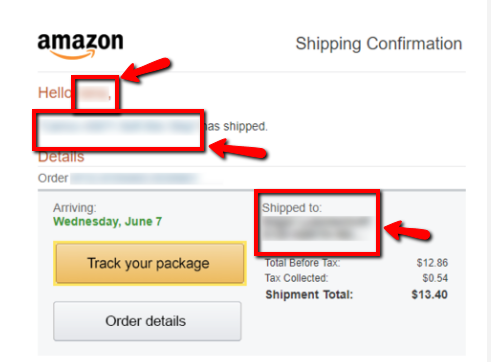 In some cases, the extension cannot recognize the name of the buyer and therefore does not open the tracking updating pop up of any order in the Sales & Orders page. In these cases, you need to do the process manually. Go to your email account and open the tracking information email and make sure that the order details, the Name, and the Address are correct. After checking and verifying the details in the email, go to your Sales and Orders page and click on the Add Tracking Button on the actions section of the order you are updating. A window will pop up. Click Paste Tracking Number. The tracking information will be pasted into the Tracking Number and Carrier fields, then you can click Add and the tracking information will be updated on your store.